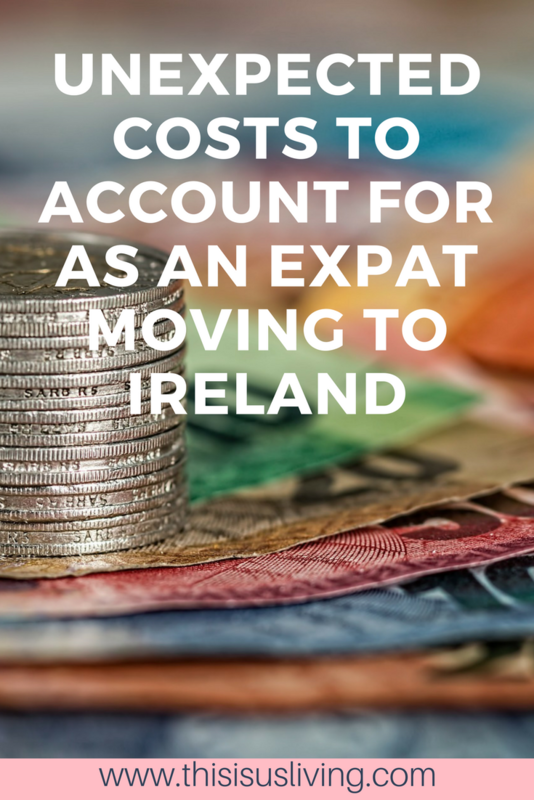 Unexpected Costs To Account For As An Expat Moving To Ireland. When you make the decision to move overseas, I think most think it is an easy enough decision to make. Do you have a job to go to? That is probably the one consideration most people would think of before moving abroad. But the real question you need to ask yourself before you move to a new country is: Will I be able to afford living in a new country for the long term? People often make the mistake of assuming because salaries sound better overseas, that they will be making tons of cash when finally move there. Converting to your home country currency is probably the worst mistake you can make because you are then basing that new salary off cost of living back at home without fully realising what the cost of living is like in the country you intend on living. Read this post for better insight on cost of living between Ireland and South Africa. 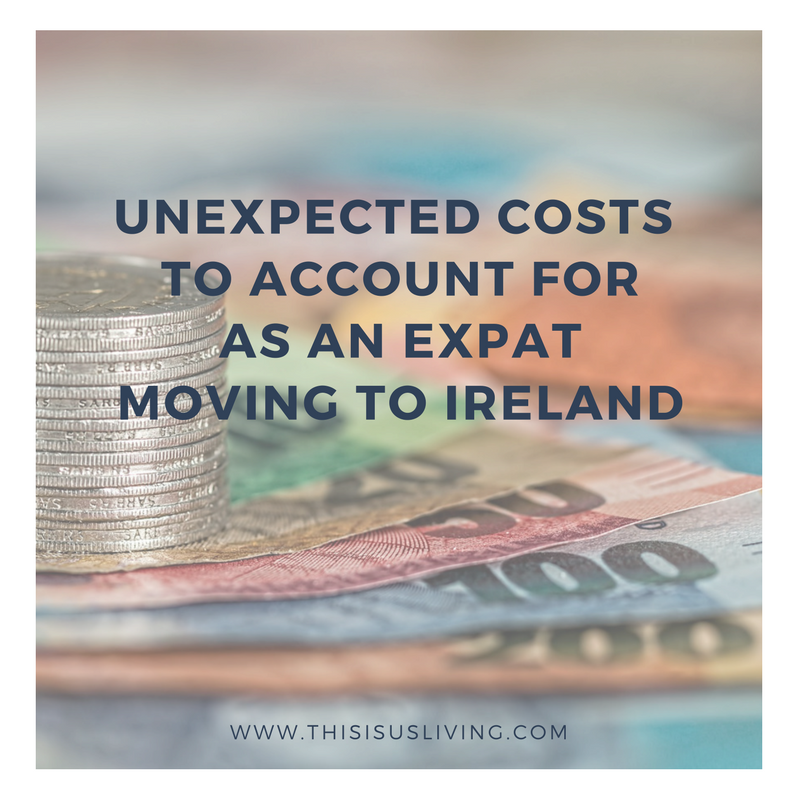 More to the point about money and budgets is that there are always going to be unexpected costs that seem to creep up when you move overseas. You are in a new country, and you want to explore, but it might be helpful if you have enough saved before you move over to account for some of those unexpected costs that you don’t often think about in the excitement of starting a new adventure. The cost of visas, work permits, and being legally allowed to stay in the country long term. Depending on how you are able to enter the country to either work or live abroad, there may be costs associated to obtaining the necessary visa. It’s a good idea to check in advance of you arriving what those costs could be, since they will probably be in the foreign currency. Certain work permits in Ireland cost money as well. In most cases this may be paid for by your employer but it is good information to be familiar with in case the onus falls on your shoulders to settle. In Ireland, as an expat with a non-EU passport, you are required to register for a GNIB card within 90 days of arriving in the country. The cost associated with this immigration registration card is EUR300. If you arrive in the country before getting employment sorted out, you will need to pay for this card twice. The first time to notify them that you are intending on staying in the country, and the second to update your employment status. If you are like me, that means that you could pay EUR600 in your first year. 2. Finding a place to rent and deposits. If you are looking for a rental as an expat, there are certain cases where you may have to pay more than a full month as a deposit to secure a good spot. We have heard of friends who were required to pay a double deposit. Because good rentals in the city of Dublin are quite costly, the difference between be able to secure a place to rent and having to let it go, may come down to who can pay the upfront payment right then and there. Finding a place to rent that is pet-friendly carries additional challenges, read this post for how we managed to find our place. 3. Additional custom costs to shipping your home overseas. This is another hidden cost that people sometimes don’t account for. You could decide to send some things over from home to your new home abroad. What you might not realise is that you pay a fee to move it overseas, but then depending on its destination, you will pay a customs fee to bring it into the new country. If you can, find out what that cost will be beforehand (a good shipping company should be able to give you an estimate) so that it is not a heavy surprise when you get to the other side. It may also help you decide what is worth sending over, and what is maybe better off leaving behind. 4. Getting a car is not just about buying the wheels. You are legally required to have car insurance if you own a vehicle. Because you are entering into a new country, you will need to show your car insurance history from back home. If there is a gap in payments (i.e you cancel your car insurance before you move over) there is a risk that you may need to pay a heavier premium/penalty. Furthermore, certain countries are allowed to swop out their drivers license for an Irish one, South Africa is one of those countries that are accepted. However you have to do this within the first year of your arrival, and your home country’s drivers license needs to still be valid. The cost to swop out your drivers license is EUR55. 5. The cost of medical aid. If you wish to take out medical aid in Ireland, the biggest difference here is that the premiums are paid upfront for the year. Unlike in South Africa where the premiums are deducted off monthly, you need to have the full payment for the full year, ready upfront. This could be quite a big lump sum depending on what package you intend on taking out. For more info on living abroad, and moving to Ireland, you can find all these kinds of posts here on the blog. LOOKING TO MOVE TO IRELAND, WHAT INFORMATION WOULD YOU LIKE ME TO COVER IN THE NEXT POST ABOUT LIVING ABROAD? This was very helpful. Thank you! I plan on moving to Ireland next summer. I have so many questions but I’ll start with where and how should I start to find the best house/apartment to live in? Please continue writing advice posts like this for people wanting to move to Ireland. Thanks Bridget! All the best for your move here next year. I wrote a post recently about finding a pet friendly rental in Dublin which you can read here: https://thisisusliving.com/pet-friendly-rental-dublin/ — feel free to email me any questions you have about living in Ireland, Happy to help where o can! I’ll check the post out, thanks! 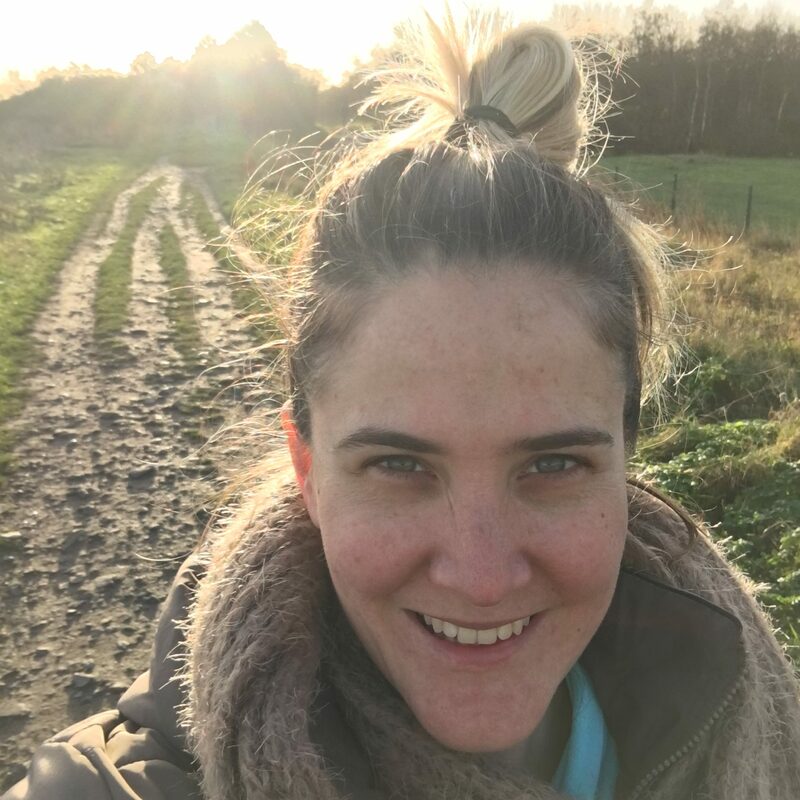 Moved to Ireland in Nov 2017, we had to pay triple deposit to get a place, also whilst there are no school fees we have paid 2500 euros for uniform and school books for our 2 teenage daughters! Thank is just crazy! wow!